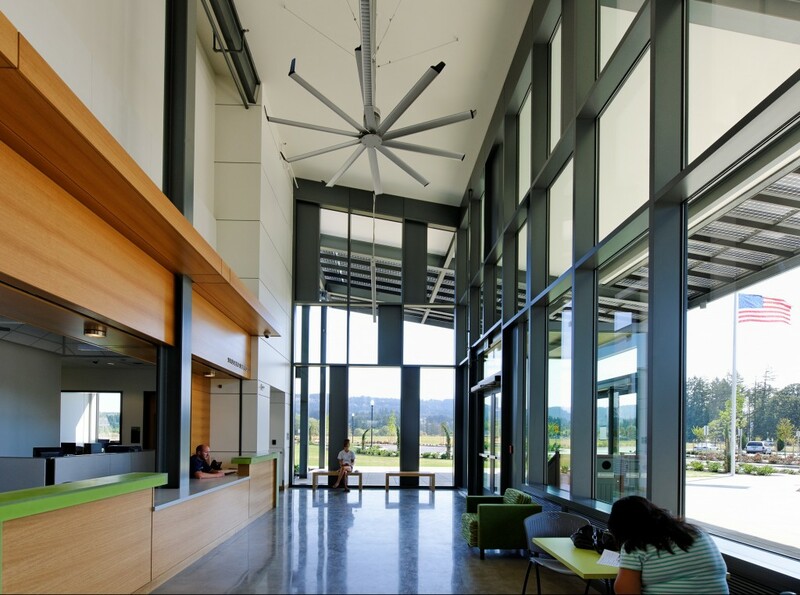 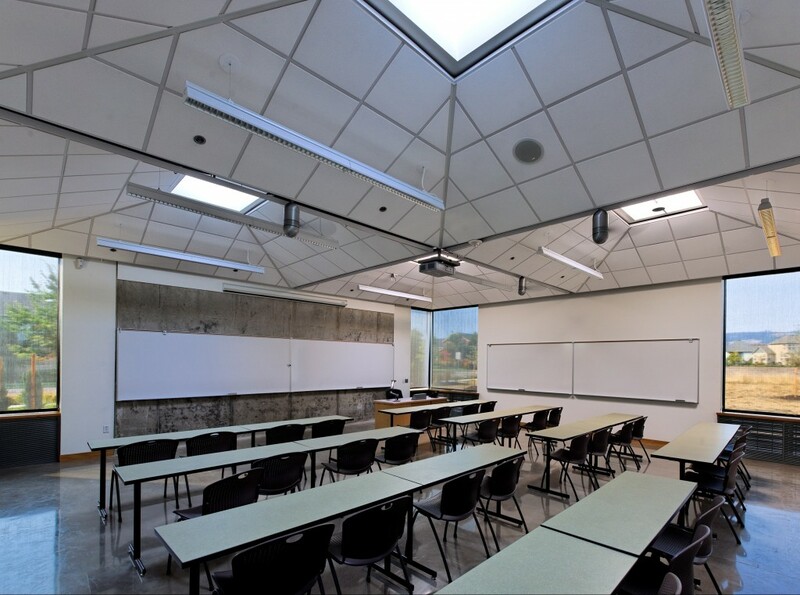 Creating a sense of place and arrival was critical to the success of the LEED Platinum Portland Community College Newberg Center — the first building on the new 15-acre campus. 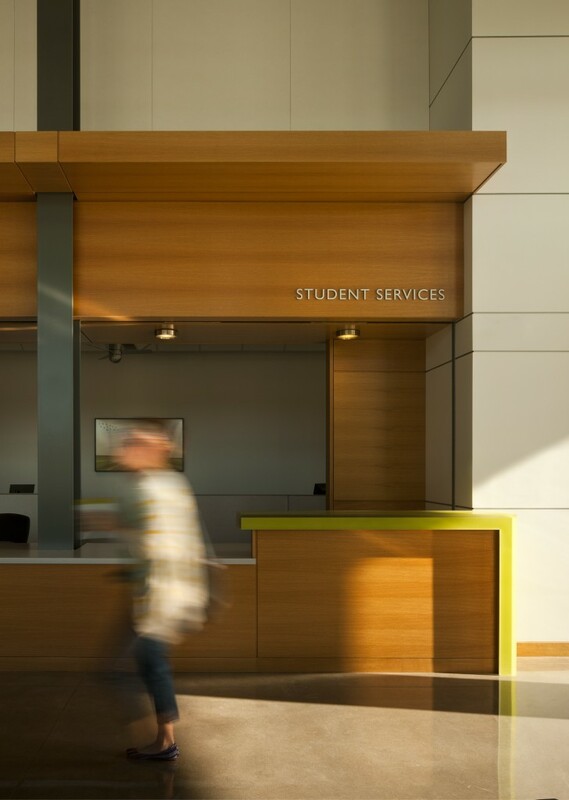 The large, south-facing roof reinforces the central organizing spine and reaches beyond to create a large, sheltered entry — the front door to the campus. 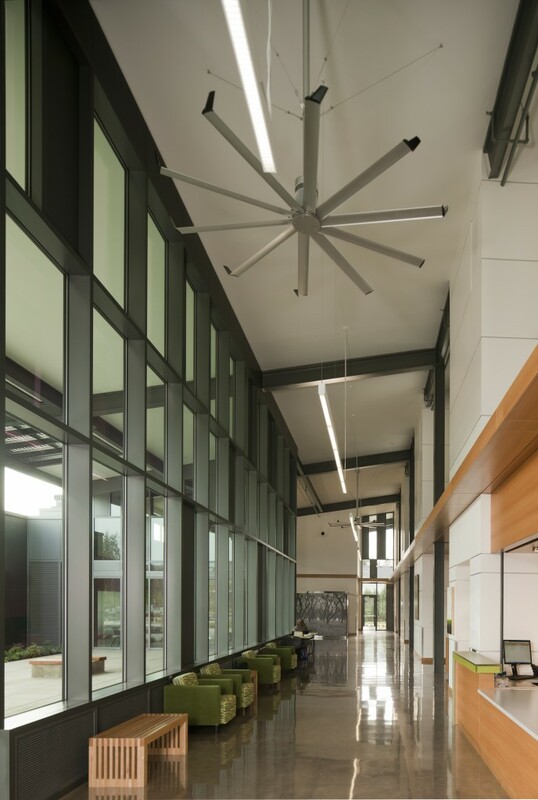 The spatial framework is articulated by five natural ventilation stacks. 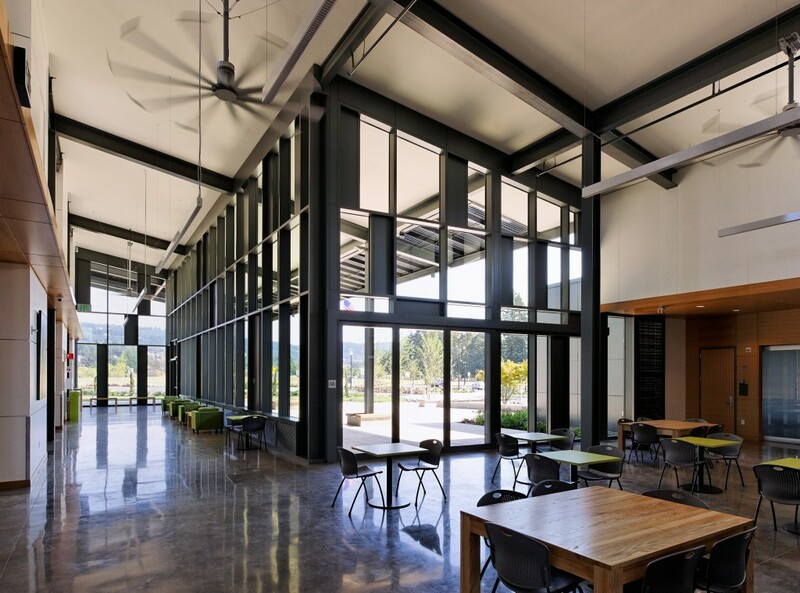 Classrooms and an administrative suite flank the north side of the spine, while multipurpose classrooms to the south shift and rotate, opening the building to the community and forming the central commons, an inviting informal learning space. 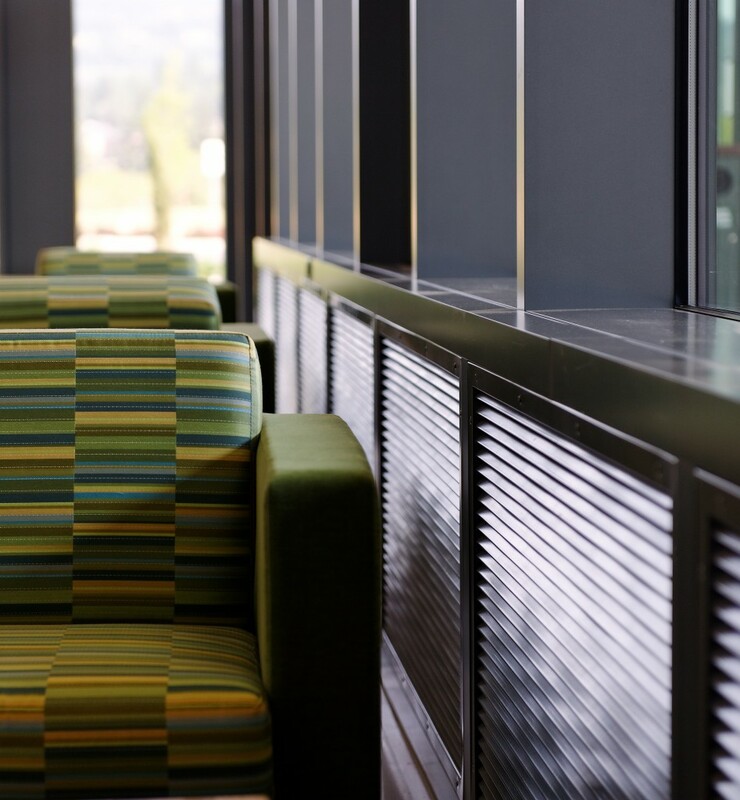 Large sliding glass walls between spaces create a dynamic flow of spaces for larger events. 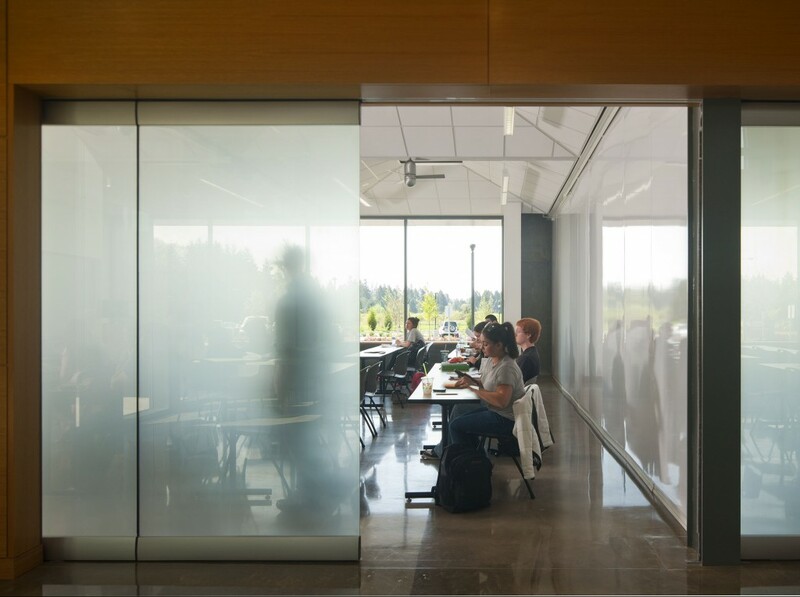 Frosted glass partitions share light between spaces, providing additional “whiteboards” throughout that, along with flexible furnishings, foster creative use of the building. 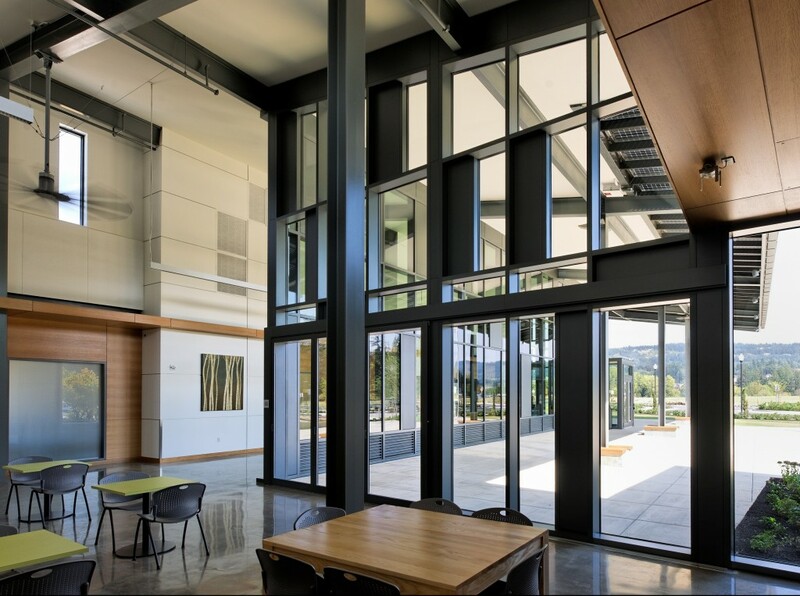 A streamlined materials palette uses structural elements as the final finish — exposed concrete slab and shear walls, and structural steel. 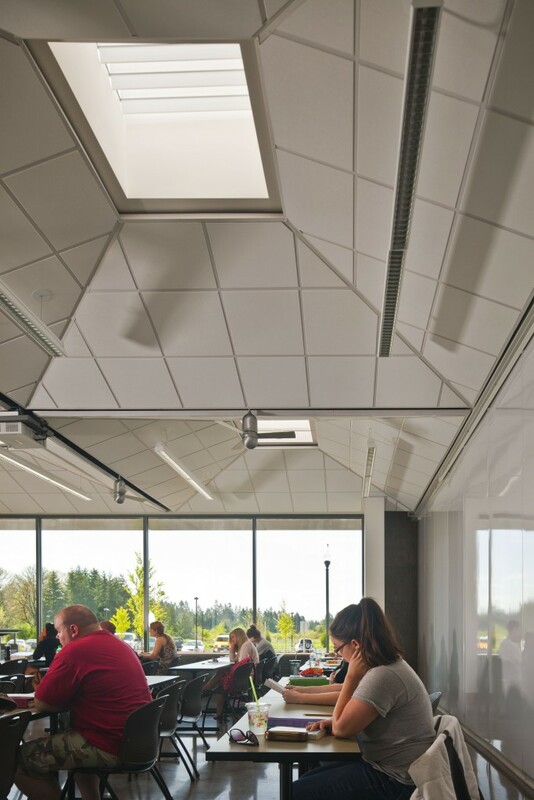 Finely tuned skylight and ceiling configurations provide even daylight and eliminate electric lighting during the day.